It’s that time of year again so we’re sharing our cleaning hacks with you! Few people enjoy cleaning but everyone enjoys a clean house. There’s just so much cleaning to do! It never ends! I can’t keep on top of it all! These are just some of the pains we hear when we mention the words ‘house cleaning’. Don’t we know it! Trying to keep any house clean is hard enough, and when you add kids and/or pets into the mix, it can feel like a constant losing battle. That’s why we’ve developed a comprehensive cleaning plan with all your daily (30 minutes of cleaning), weekly (2-3 hours of cleaning) and monthly (1 big job each month) chores. Not only can it help you feel less overwhelmed by all the cleaning, it will help your house stay in a ‘clean enough’ state most of the time. PLUS with all the jobs listed out on this handy printable, it’s easier to delegate some tasks to other members of the household. And while we’re on the topic of cleaning, we’re also sharing 5 cleaning hacks we recently discovered and LOVE. 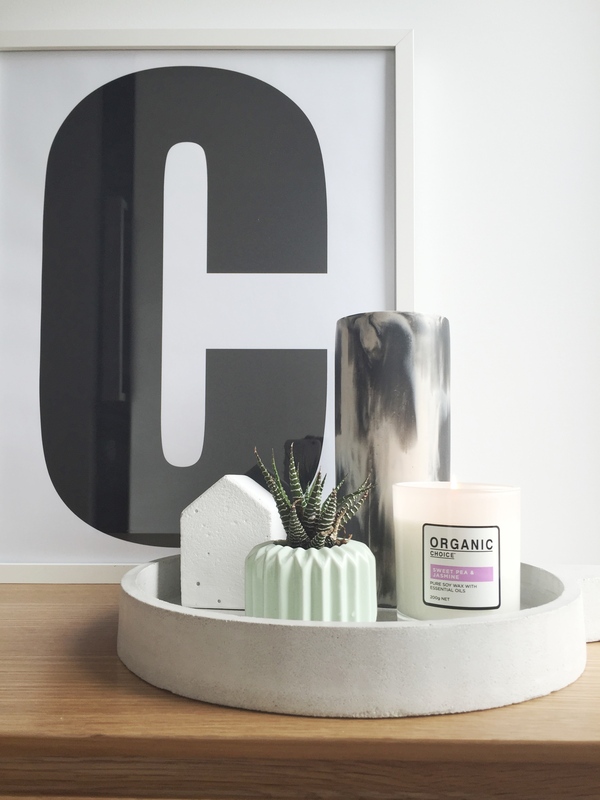 This recent cleaning spree was inspired by the new range of environmentally friendly, plant-based products by Australian brand Organic Choice, available at Coles from $5. Morning: make beds, pick up dirty laundry, put on a load of laundry, empty dishwasher. Evening: clean dishes or load dishwasher, wipe down sinks and bench tops in your kitchen and bathrooms, sweep floors, 10 minute dash around the home putting away items and straightening out rooms. Dust skirtings, mouldings, door frames, fans, lamps, and furniture surfaces using a multipurpose cleaner and a microfibre cloth. Clean bathrooms, removing all items from the vanity, spraying the bench top, shower and/or bath with multipurpose cleaner. Then clean the toilet, being sure to clean inside, outside, and behind the bowl. Clean mirrors and then vacuum and mop. Clean kitchen, wiping appliance fronts, cupboard doors, and thoroughly cleaning bench tops. Also wipe clean inside your microwave and wash sinks with disinfectant clean. Finish by vacuuming and moping. Tidy laundry, folding items that are dry and placing items to be ironed in your ironing basket. Clean carpets and rugs – try our cleaning hack for this! Vacuum and mop other flooring in the house you missed during the week. Tidy bedrooms, changing bed sheets, wiping down bedside tables, and putting away items. Clean living room, wiping TV screen, entertainment unit or any other furniture in the space, clearing away items that don’t belong. This might sound like a lot of cleaning to do each day but once you follow this plan for a few weeks, jobs that used to build up (like the microwave you rarely cleaned) will become quicker. Remember, the more often you clean, the less build up there will be, and the faster your cleaning will become. On top of the cleaning mentioned above, also set one job from the list below each month. We find it’s best to just knuckle down and do it in a day but you might like to break it up over the month. January: clean and organise the garage and/or storage room, putting away the Christmas tree and finding space for any new gifts such as a bike. February: polish silver, dust inside any china or ornament cabinets, dust anywhere that isn’t cleaned weekly. March: clean bathroom cupboards and throw away any expired medicine or beauty products. April: wash blankets, mattress protectors and any other heavy bedding. May: declutter office and organise personal files. June: organise the pantry and kitchen cupboards, throwing away any expired food. July: wash walls and touch up paint where needed. August: organise wardrobes, donating any unwanted goods to charity and throwing away items that are no longer wearable. September: clean all hard-to-reach places such as behind the fridge, washing machine, sofa or other large furniture. October: steam clean carpets (and get pest control over before you clean your windows next month). November: clean all windows inside and out. December: thoroughly clean stove, oven and defrost/clean fridge and freezer. In our recent cleaning blitz, we discovered some new cleaning hacks that might sound weird but totally work so we just had to share! 1. Add a few drops of dishwashing liquid to your mop bucket for sparkling floors. This trick seriously works. Gina’s floors have been getting a workout lately with baby vomit and dog drool (gross, we know!) and was searching for ways to clean her floors without damaging the natural hardwood or concrete polish. The usual floor cleaner with some extra white vinegar mixed in (great for neutralizing odours) just wasn’t doing the trick. Advice from a friend suggested adding a few drops of dishwashing liquid to her mop bucket and this has made a world of difference. 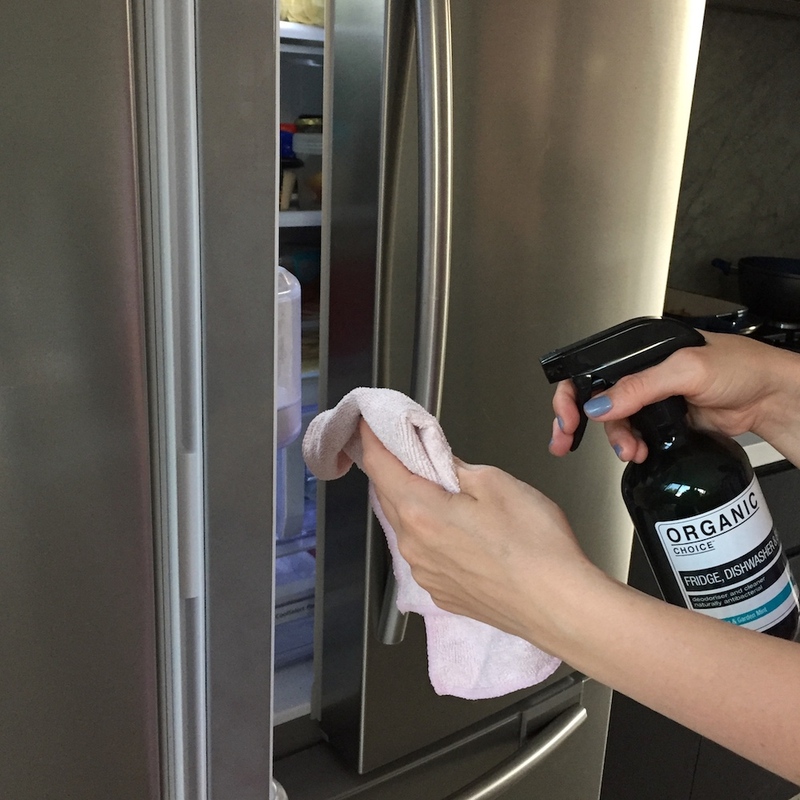 Just be sure to check the ingredients of the dishwashing liquid you use – we tried the dishwashing liquid from Organic Choice which is all natural and adds a lovely fragrance. 2. Refresh carpets and rugs with a sprinkle of baking soda and spritz of room spray. Carpets are a popular flooring choice in homes but they can hold odors that regular vacuum cleaning just can’t remove. At least twice a year, try sprinkling baking soda on your carpet and leave for 2-4 hours, then vacuum it away and finish by spraying room spray. This hack will banish nasty odors and leave your carpets smelling divine in between your professional annual carpet cleans. 3. 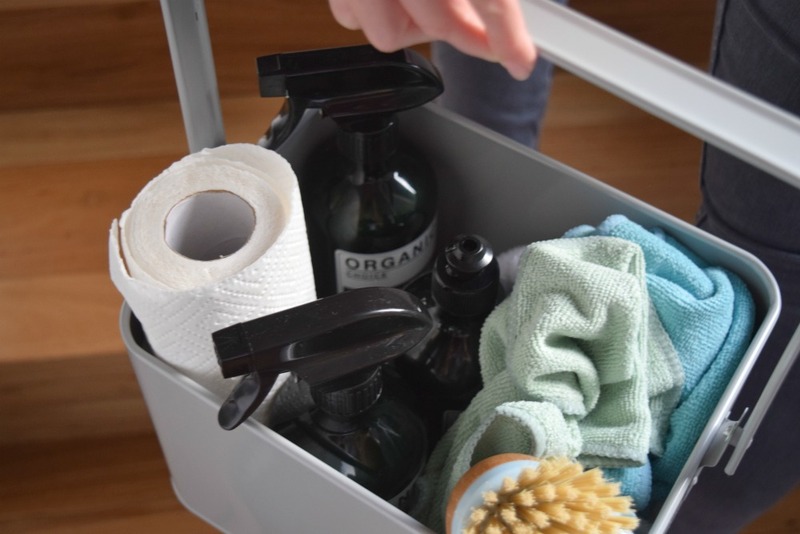 Create a cleaning caddy. Something that always slowed our cleaning was the constant running back and forth to get all the cleaning products needed to clean a space. A microfiber cloth, window cleaner or disinfectant would always slip our minds and then just when we were knee-deep into cleaning a space we’d have to run off and find it. A cleaning caddy with all your cleaning products, sponges, cloths and garbage bins will cut down cleaning time. 4. Clean your washing machine using a dishwashing tablet. Washing machine doesn’t clean clothes like it used to? When cleaning the filter isn’t enough, do a warm or hot cycle using a dishwashing tablet and dissolve away any gunk that’s built up where normal scrubbing can’t reach. 5. Remove marks from your fabric sofa with dishwashing liquid. 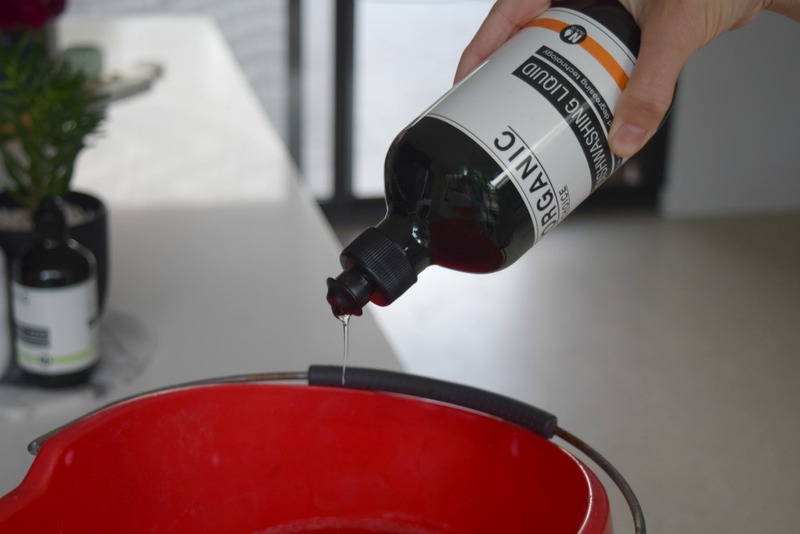 This hack worked for us and it even removed oil and chocolate marks! Simply use a microfiber cloth or new sponge, add a few drops of dishwashing liquid and warm water and gently rub in a circular motion. If you’re unsure how your fabric will go with rubbing or dishwashing liquid, do a test patch on the underside of a cushion. Do you have any other cleaning hacks to add to the list? Drop them in the comments below. We hope these cleaning hacks and this year-round cleaning plan has inspired you to give your home a cleaning blitz. 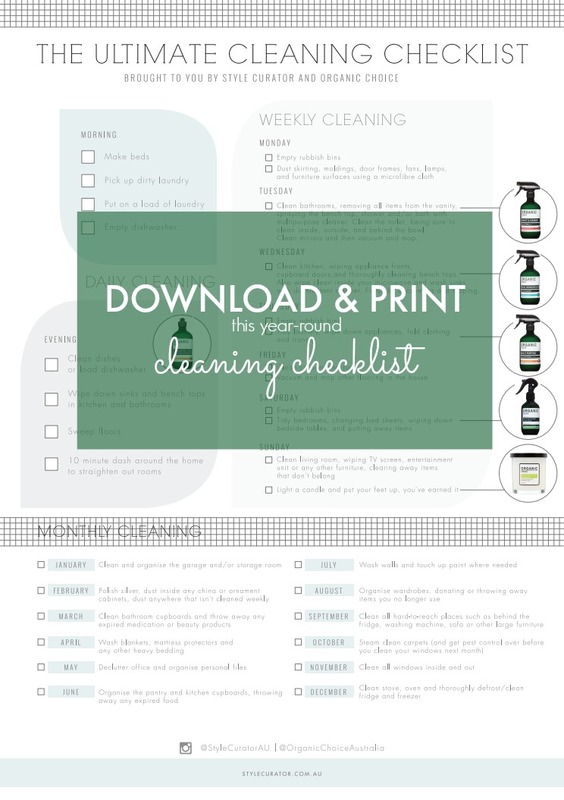 Huge thanks to Organic Choice who we collaborated with to bring you these tips and printable checklist. 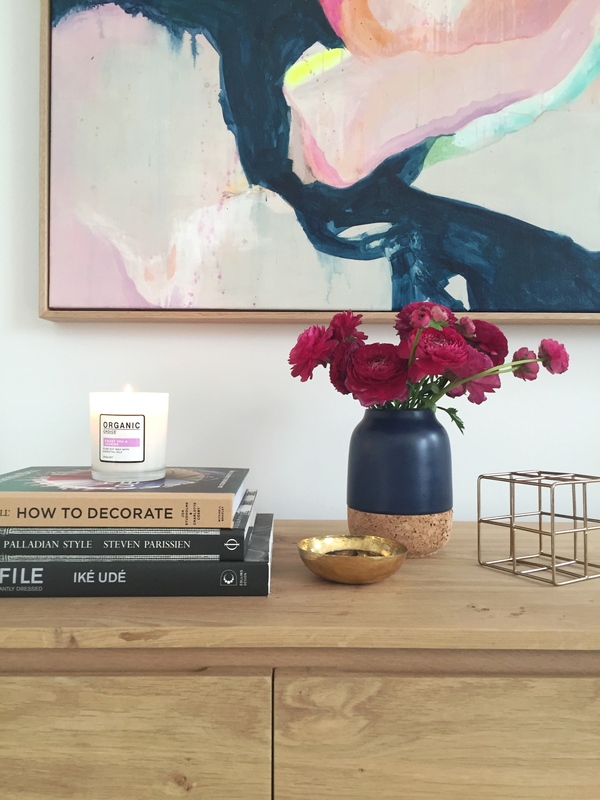 If you’d like to try their gorgeous cleaning products (both products and packaging are gorgeous for that matter), then pop over to your nearest Coles and find them in the cleaning section. It’s been a nice change to ditch the heavy chemically cleaners for these effective cleaning products that are baby safe, don’t harm the Earth and leave a botanical fragrance in the home. Next articlePatrick’s nursery features in Minty magazine!